mathos78's review (This content has been automatically translated from French)" If you want easy, go your way!" I give you my impressions after a few hot days of testing on this little machine ..
Unsuspecting users, not hobbyists; GO YOUR WAY! The software supplied with the machine and serving to connect the PC to the machine are totally ergonomic. After unpacking and connection of the little beast to my PC, I try to install the software included in the box. First surprise, the installation software, supposed to connect to internet to install the latest update immediately stops with a message in my friendly "Unable to find Setup.exe, blah blah blah"
A ride on the English forum and I find how the updater firmware of the machine (something that is not explained or recommended in the manual) ..
Third step, and probably the most painful ... how it fonctionen you it? Anyway, I still eventually managed to install the plugin VST Native Instruments B4 Organ, thanks to the Wizard of the machine (which will install some plugin for which the company VMAchine the designer to create small Wizards files can help you install the plugin on your machine) ..
-There is a huge community of users and lots of very interesting topics on the forums mainly English that will help you in your journey. 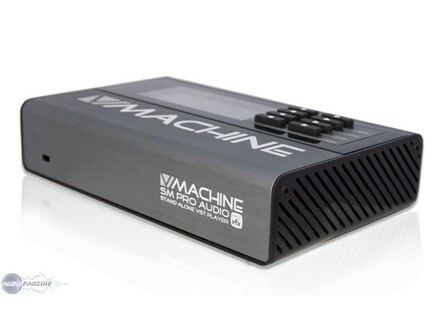 - The machine is well made, strong, beautiful and made a signal with noise quite pro. (Too bad the audio cabling is not a little more pro-unbalanced output jack, mini jack output for headphones). Damage that are used and especially its configuration is as tedious, and the software suite is truly "crappy" (pardon me the word). Handymen, technology experts and computer music, it's there's hope .. Novices, busy people, and not go your way ... DIY! Maxidingue's review (This content has been automatically translated from French)" Mixed review"
and then with the little brother of my netbook that runs XP, happiness. I keep the best for last at Thomann € 205 with the port. Being able to put plug-ins opens up quite important possibilities. 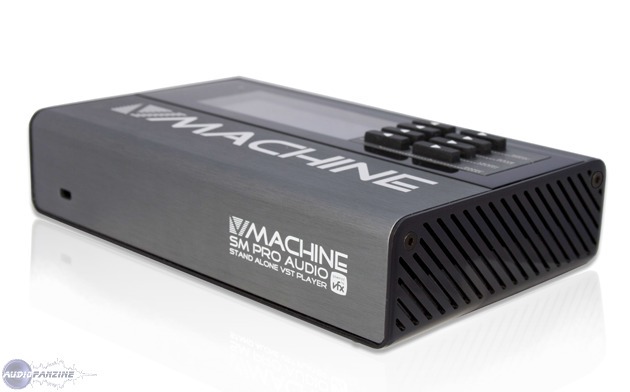 But on the other side, it is quite difficult to put some vst (and vsti) due to the protective system by serial numbers and other authorization. I was not able to install as the B4 II VSTi native or &nbsp;moogmodular V, but the solutions free (or almost) and there are quite usable. If the firmware is progressing well and that the SAV is present then yes I think it's worth it. Yes although you must spend some time to make its presets, not because of the complexity or lack of ergonomics but by the possibility.